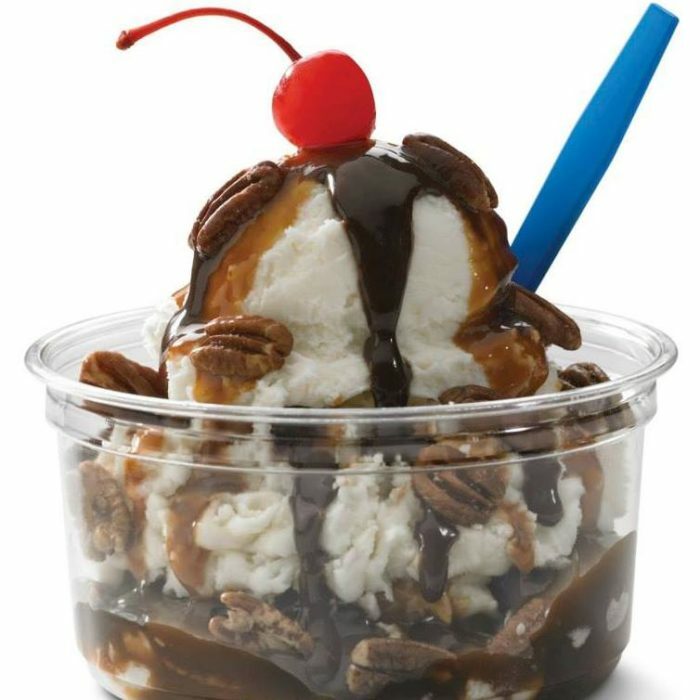 So it turns out that what most people think is Wisconsin’s obsession with frozen custard is actually southern Wisconsin’s obsession with frozen custard. 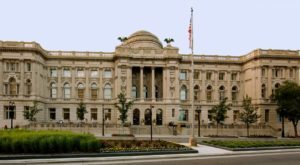 Nearly every place on this list exists in the lower part of the state, though I have no idea why. 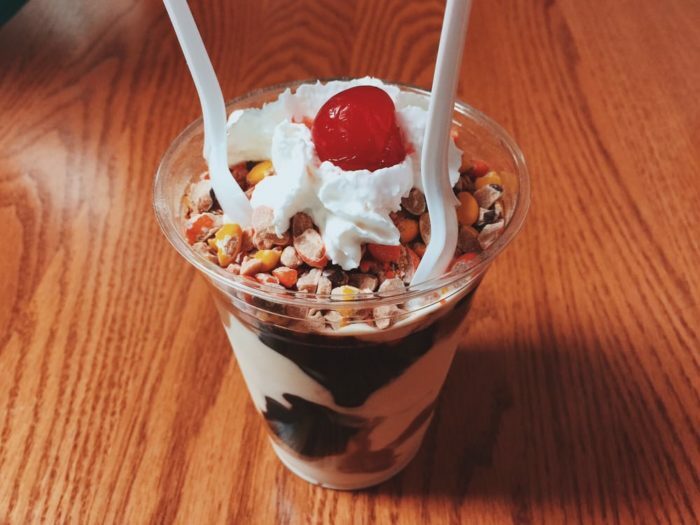 There just don’t seem to be a lot of frozen custard places up nort’. 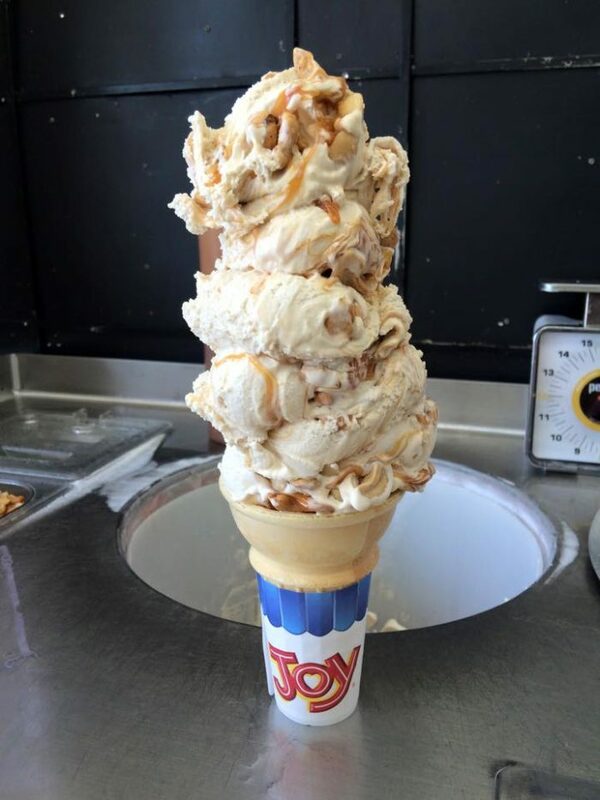 Our status as the dairy state is what cemented frozen custard’s history in Wisconsin – we had the necessary ingredients at our fingertips. 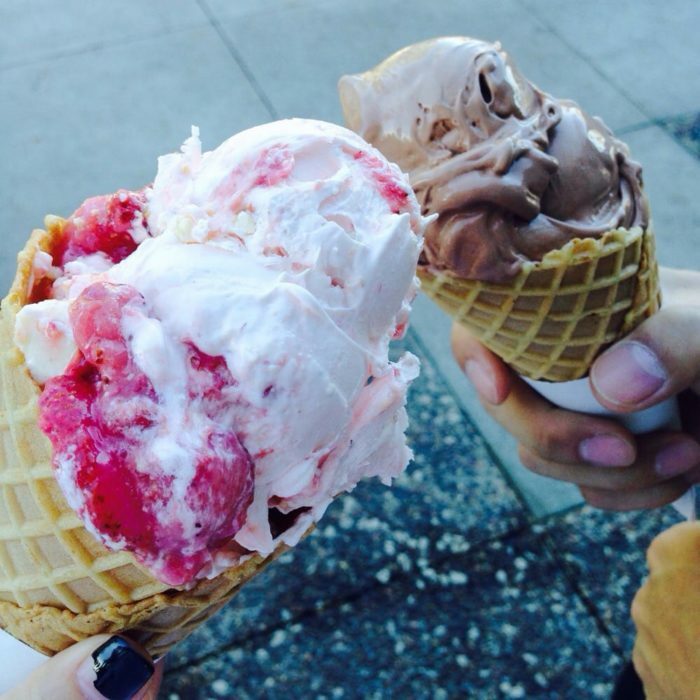 The FDA has rules on what makes something ice cream or frozen custard. Custard has to contain at least 10% butterfat and 1.4% egg yolks. The yolks are the crucial part. 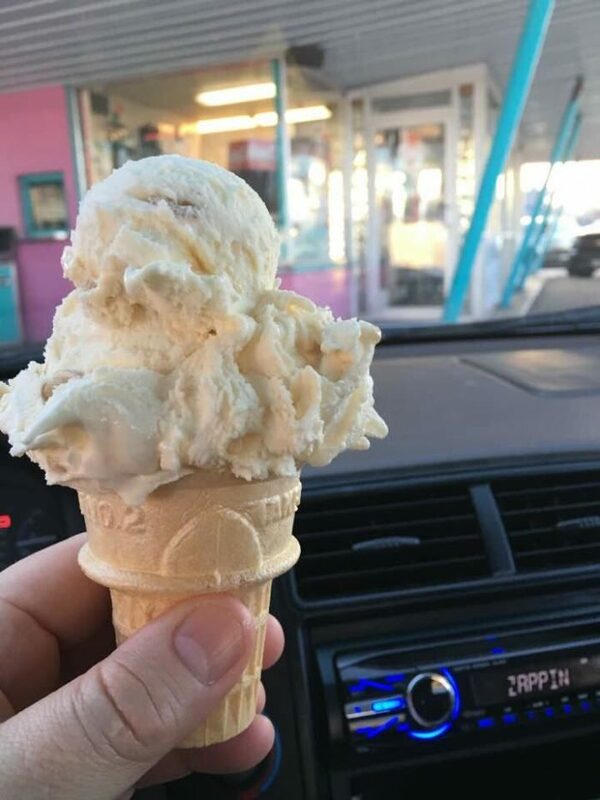 Most ice creams have no eggs. One other factor that gives custard its unique texture? There’s little to no air in it. The large machines that create it introduce little air. 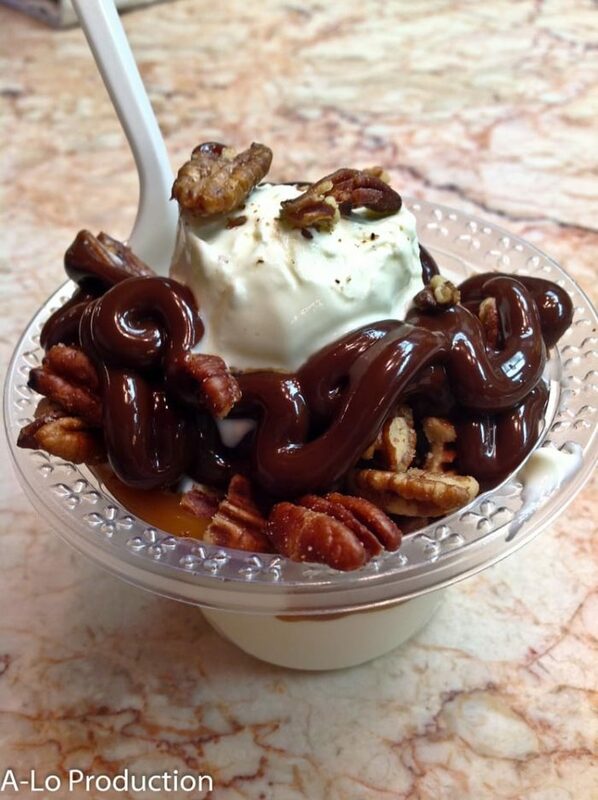 The best guess is that our very first custard place opened in 1938 – Gille’s in Milwaukee. The rest is, as they say, history. 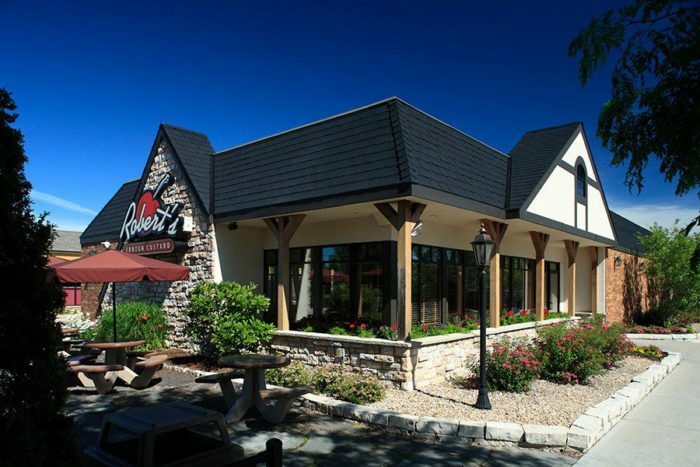 Probably the fanciest frozen custard place you'll ever seen, Robert's has a fireplace and an inviting interior to bring you in to enjoy their delicious custard year round. 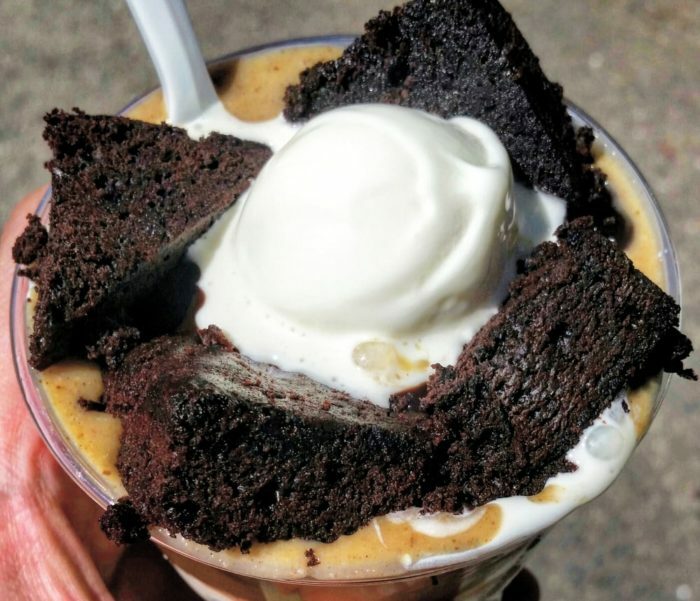 There's a rumor of a cream puff sundae from Robert's that seems worth investigating - for scientific purposes, obviously. Located at N112 W16040 Mequon Rd, Germantown, WI 53022. The original. 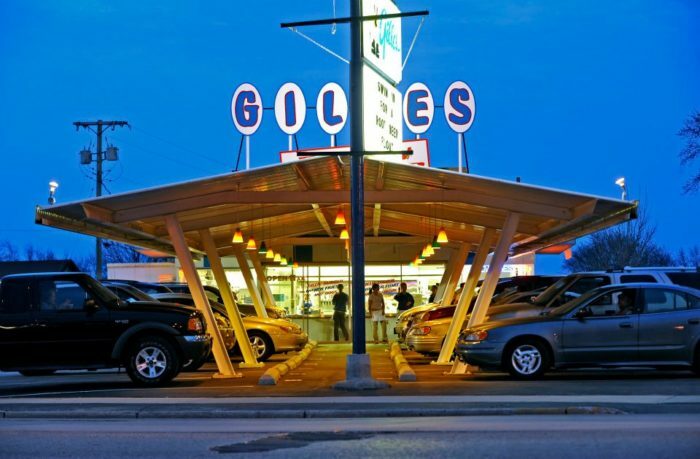 It sometimes feels like little has changed in the 70+ years of Gille's. 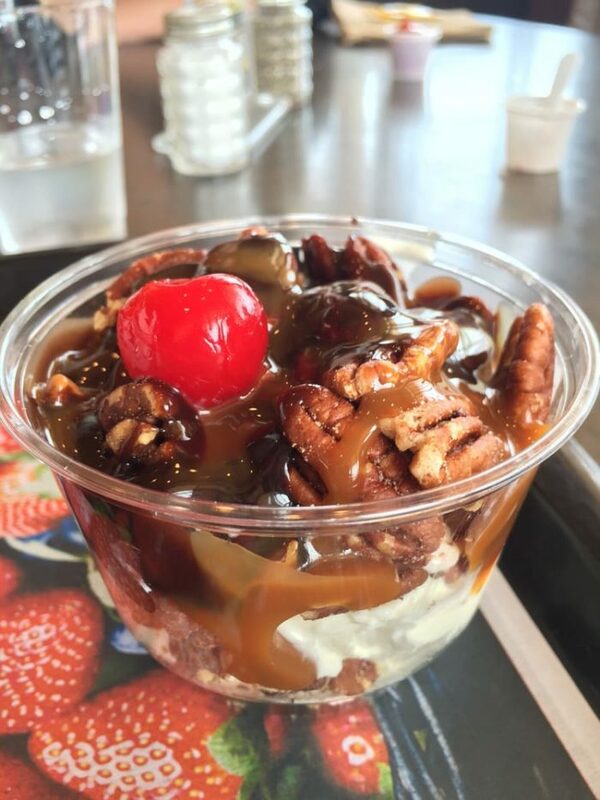 A simple stand with decadent sundae toppings, it's simple but delicious. Located at 7515 W. Bluemound Road, Milwaukee, WI 53213. 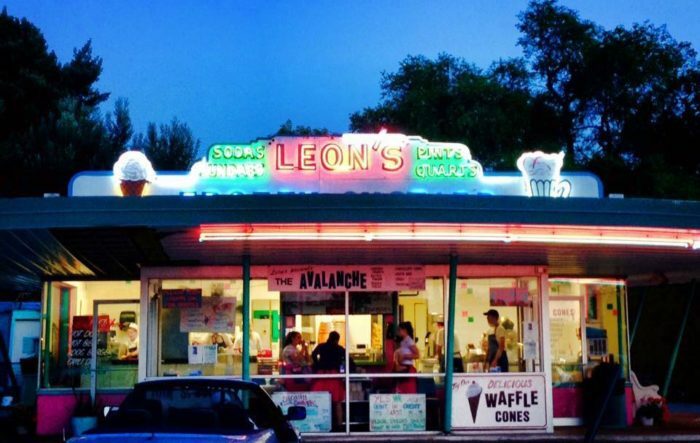 Opened in 1949 by the same family that owned the Milwaukee location, visiting this place is like a trip back in time. You can almost see the poodle skirts and bobby socks. You turn your lights on to let the staff know you're ready to order. 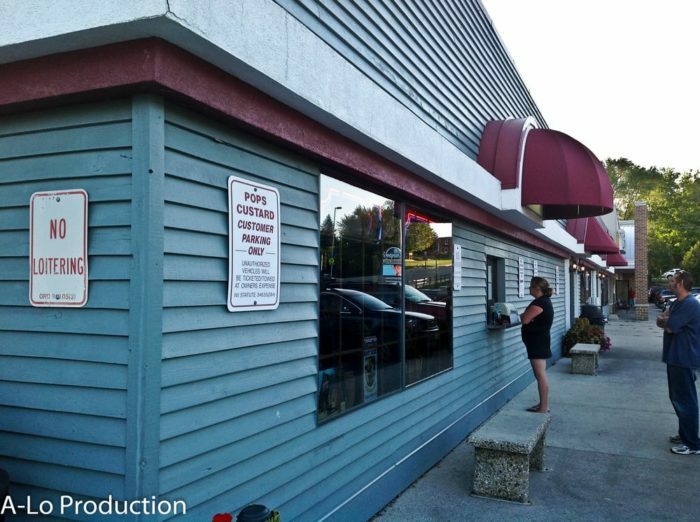 Located at 819 S Main St, Fond du Lac, WI 54935. 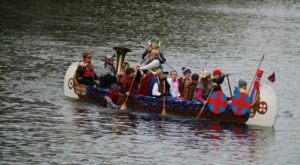 Located right off Echo Lake, a trip to Adrian's signifies summer fun. 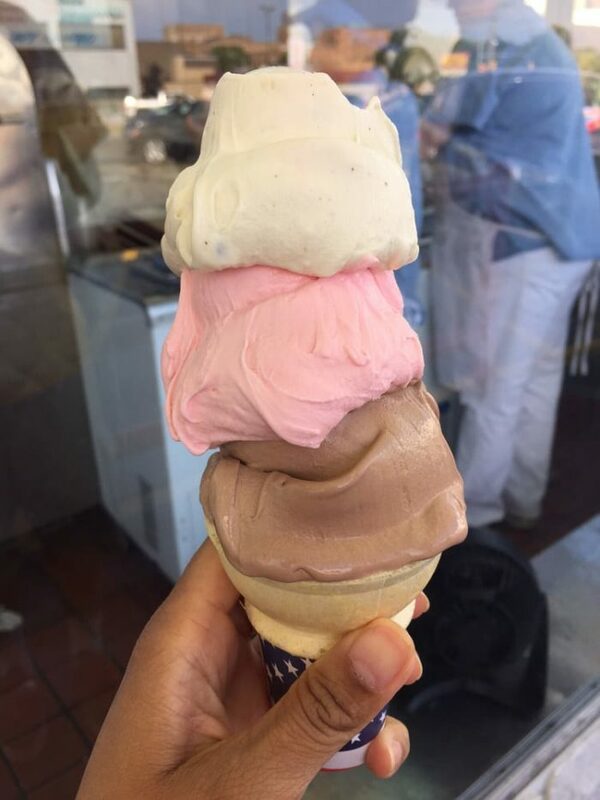 Since 1974, this little stand has been putting out giant cones of delicious creamy custard. 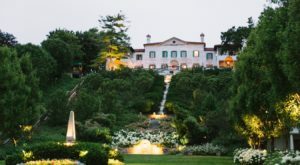 They're closed from November to March, so mark your calendars to check them out soon. 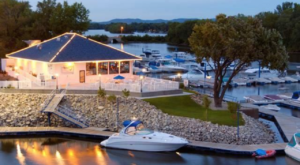 Located at 572 Bridge St, Burlington, WI 53105. The bright colors of Zesty's are a Green Bay-area institution. Folks love their burgers, but make sure to save room for the fresh-made custard. 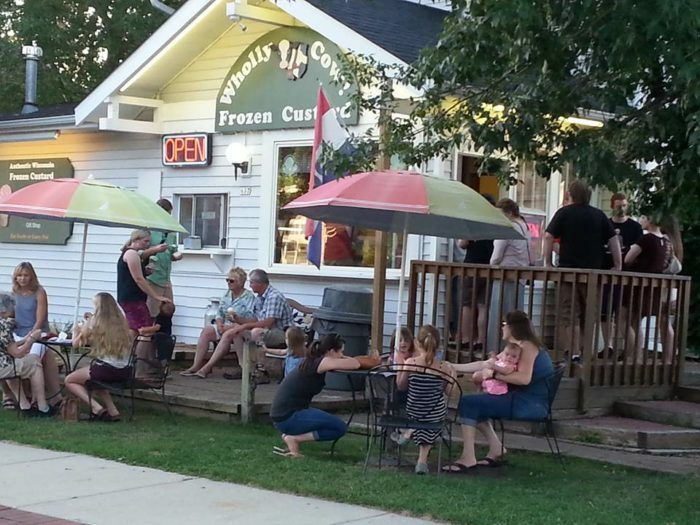 The DePere location is seasonal while the others are open year-round. 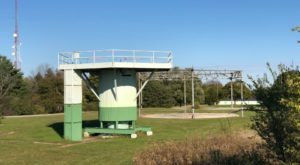 Located at 508 Greene Ave., Green Bay, WI 54301, 2639 Lineville Rd, Howard, WI 54313 and 3718 Riverside Dr De Pere, WI 54115. 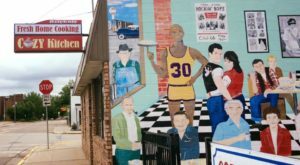 An eclectic mix of a little bit of everything, this is one of the only places in northern Wisconsin to serve frozen custard. 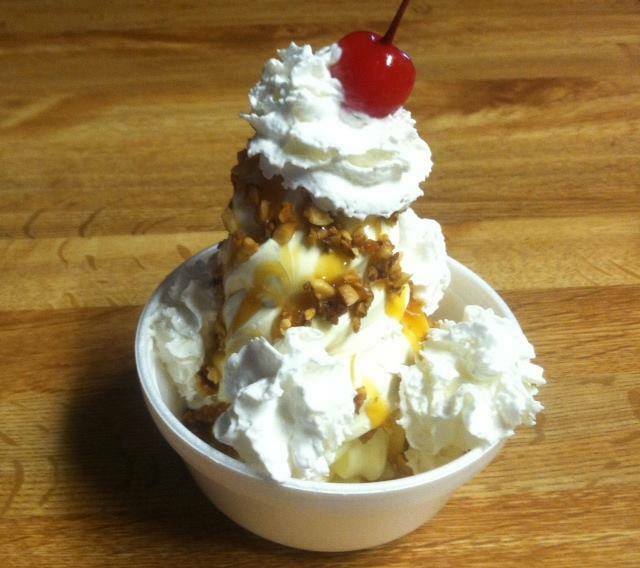 Come for dinner or entertainment, but leave with a sundae or cone to top off your day. 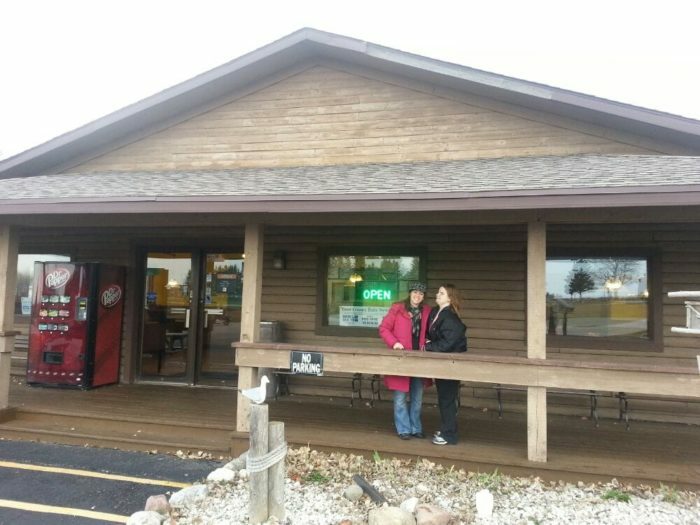 Located at 5234 N Highway 51, Mercer, WI 54547. 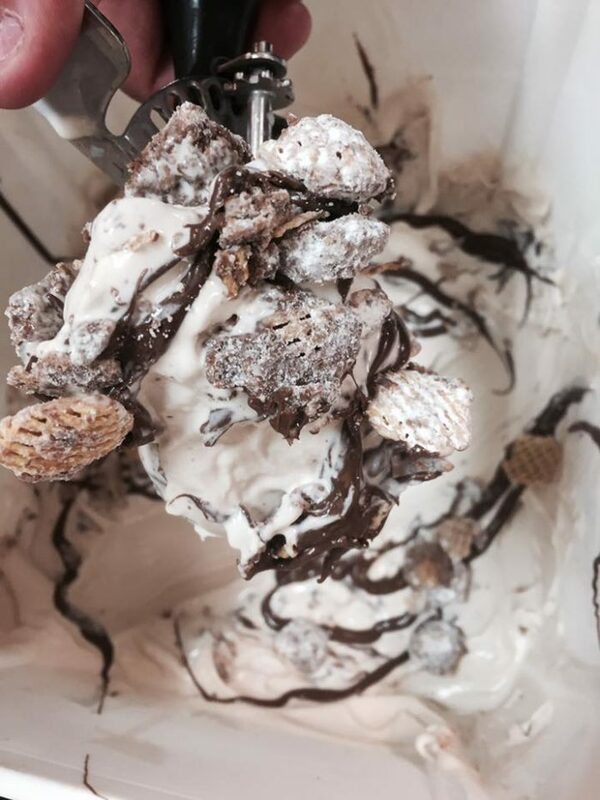 There's plenty of places to find treats in Door County, but you'll want to find Not Licked Yet for the odd but wonderful combination of two Wisconsin snacks - puppy chow and custard. 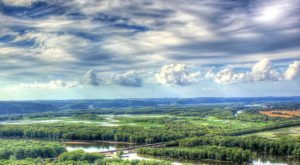 Located at 4054 WI-42, Fish Creek, WI 54212. 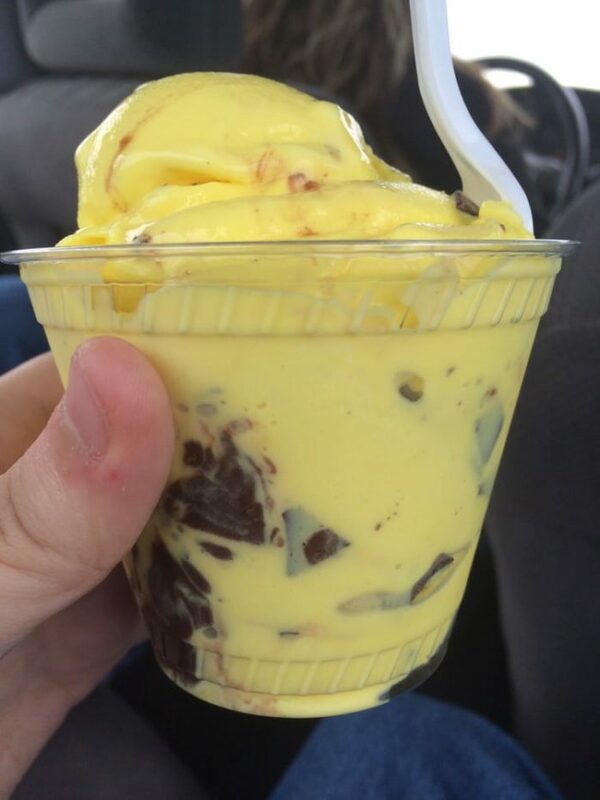 This seasonal stand offers a unique feature - a cobblestone that allows you to get whatever flavors mixed into your custard. They have ice cream, too, but I don't know why you'd choose that over custard. Located at 637 Main St, Delafield, WI 53018. I don't know how I made it this far in life without knowing about frozen custard pies, but it's clearly a mistake in my upbringing. Custard pies are a thing I never knew I needed, but now I don't know how I lived without. The pies seem to be seasonal, but I'm not going to pretend I haven't set a calendar alert. 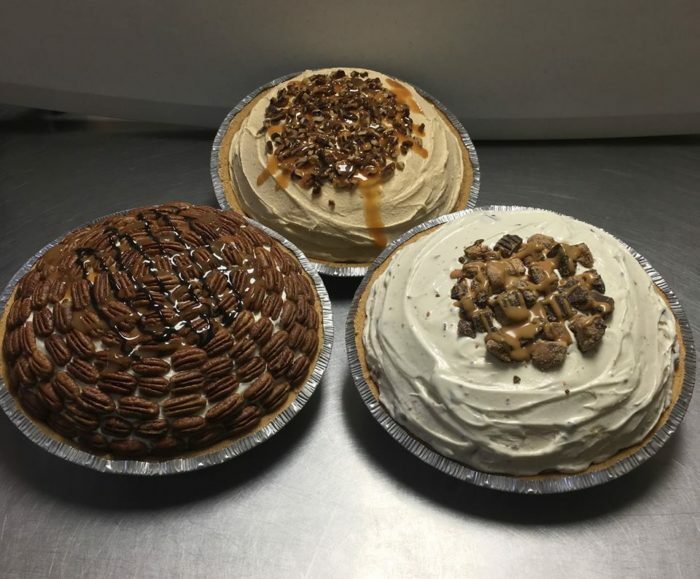 These guys are open year round and even if it's not for pie, you have to go. Located 240 W Summit Ave, Wales, WI 53183. 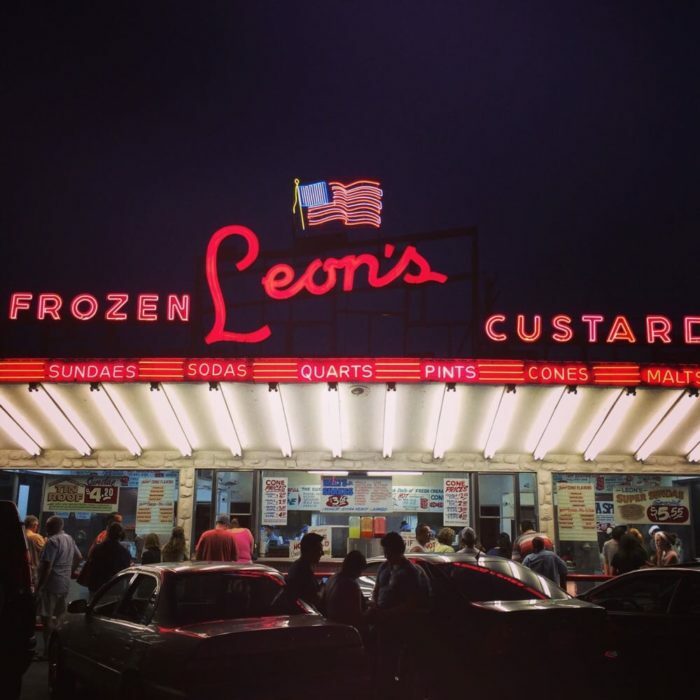 Folks rave about their Butter Pecan custard and going here feels like legitimately living in an episode of "Happy Days." 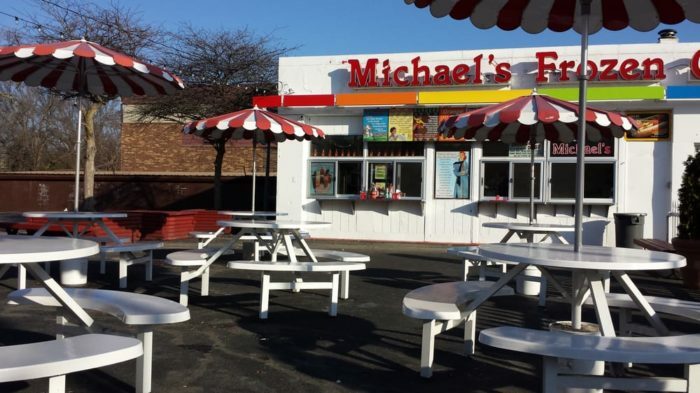 This place was opened by a man who previously made a living fixing frozen custard machines. Located at 3131 S 27th St, Milwaukee, WI 53215. 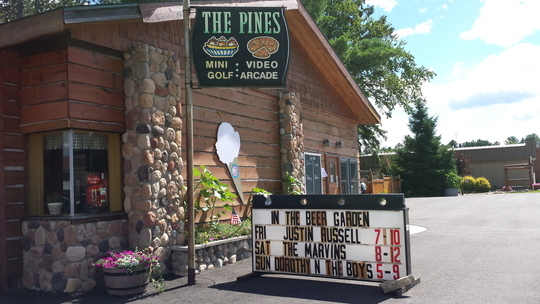 This seasonal location is a must-stop for those heading up to Door County. A hidden gem of burgers, fries and sundaes as well as interesting flavors. Located at 707 Main St, Kewaunee, WI 54216. 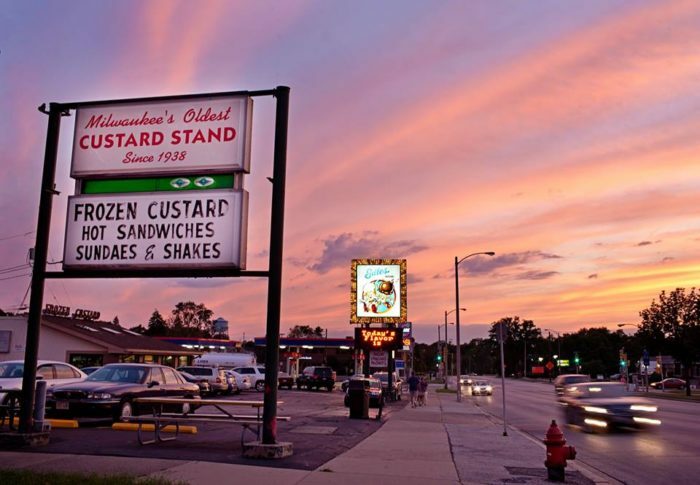 Frozen custard is a hotly debated topic in Milwaukee and one's affiliation tends to be based on where they were raised. Everyone in town has their favorite. 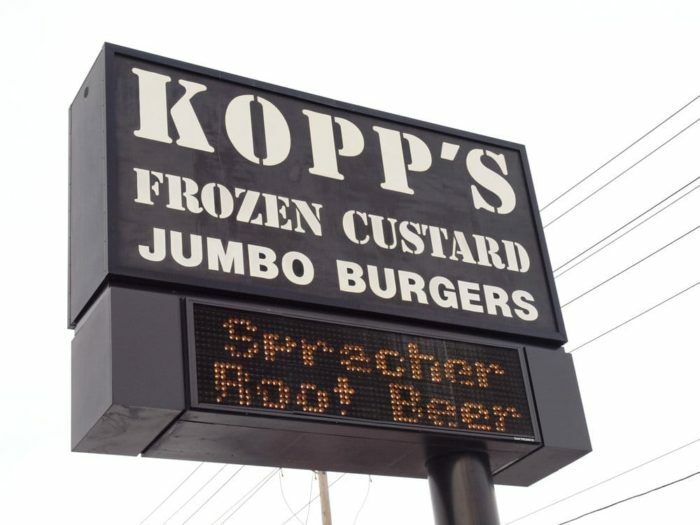 As someone who grew up in walking distance of Kopp's, this is mine. 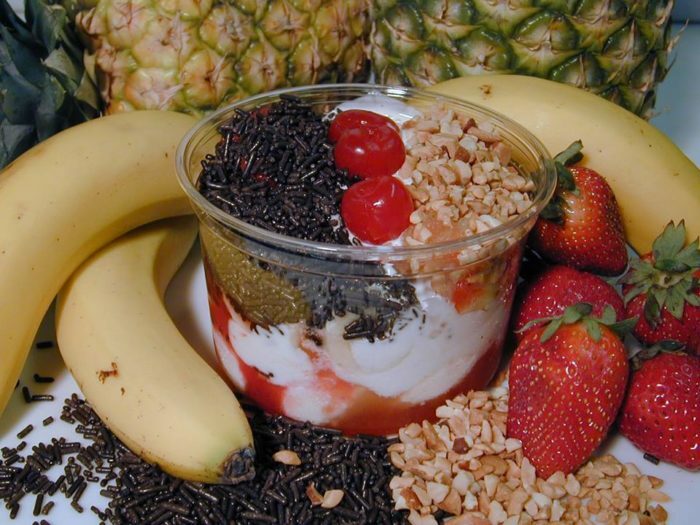 Kopp's is credited with popularizing the idea of new and interesting daily flavors. Located at 7631 W. Layton Ave. Greenfield, WI 53220, 18880 W. Bluemound Rd., Brookfield, WI 53045 and 5373 N. Port Washington Rd., Glendale, WI 53217. 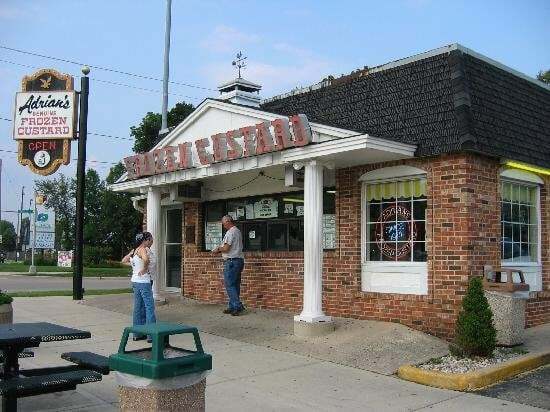 This counter-serve joint added a walk-up window and custard in Menomonee Falls has never been the same. 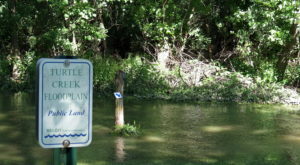 Located at N87 W16459, N87 W16459 Appleton Ave, Menomonee Falls, WI 53051. 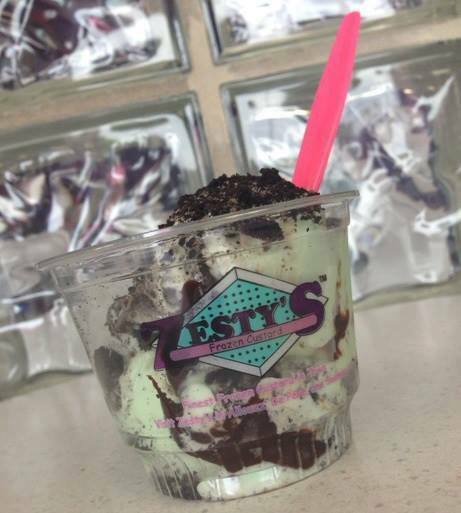 Where’s your favorite custard? 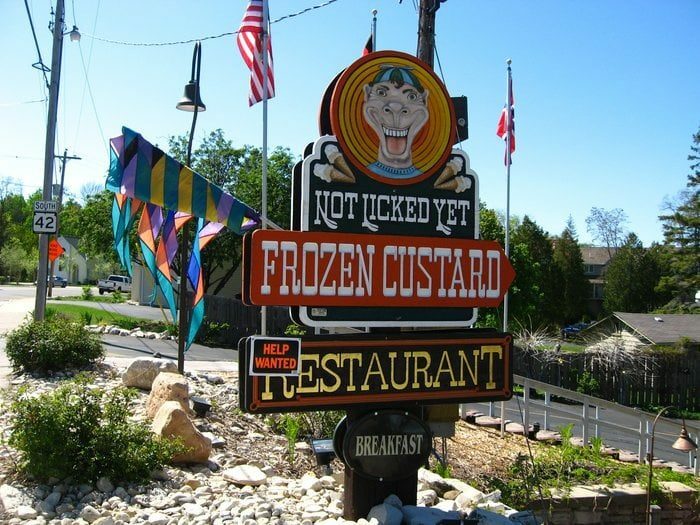 Did we miss any northern Wisconsin custard places that you love? Tell us in the comments.